The bill changes the current gun sentencing from three to 14 years, giving the judge’s discretion to sentence offenders from seven to 14 years. Gov. Bruce Rauner on Friday signed a stronger gun bill that has been repeatedly pushed for by Mayor Rahm Emanuel and Supt. Eddie Johnson as well as former Mayor Richard M. Daley. Mary Ann Ahern reports. Gov. Bruce Rauner on Friday signed a stronger gun bill that has been repeatedly pushed for by Mayor Rahm Emanuel and Supt. Eddie Johnson as well as former Mayor Richard M. Daley. Rauner announced the signing, which he described as a "very important bipartisan effort to keep our communities safe," with Johnson by his side. "This is a very important day, a good day for the people of Illinois," Rauner said, "a very important step forward in criminal justice reform to keep our neighborhoods safer but also to create an opportunity for non-violent offenders to have a second chance and be productive citizens as well." 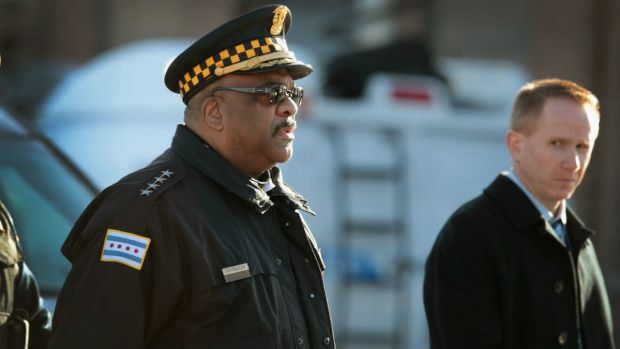 "Today is a monumental win in the name of the safety and security of those that we serve," Johnson said, noting he firmly believes "this bill is the first step to creating a real culture of accountability in Chicago among gun offenders that will make someone think twice about picking up a gun before they ever use it." Johnson testified twice in Springfield, personally lobbying for a stronger gun sentencing bill and calling on lawmakers to keep repeat gun felons off city streets and in prison longer. Johnson said the "cycle of violence just continues in our city" and believes stronger sentences will send a message. 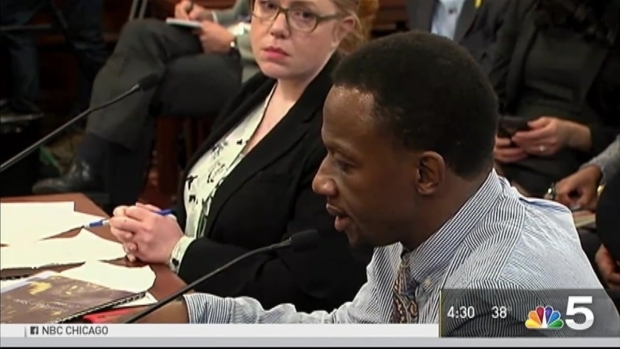 "I’m not seeking to mass-incarcerate minorities or establish additional mandatory minimums, or take guns out of the hands of people who hold them legally," Johnson said when he testified in May. "This legislation gives judges the guidelines to sentence repeat gun offenders at the higher end of the already existing sentencing range." Chicago's top cop returned to Springfield Thursday to continue calling on lawmakers to keep repeat gun felons off city streets and in prison longer. NBC 5's Mary Ann Ahern reports. One of the sponsors of SB1722, State Sen. Kwame Raoul, testified at the same hearing, saying, "This bill is not a cure-all to the violence in Chicago or outside of Chicago, but I do believe it is something that will help." GOP House Leader Jim Durkin is proposing an amendment to provide a break for first-time offenders, to address those who are concerned that the tougher sentences will send more minorities to prison. Johnson has long been pushing the passage of the bill, which would create tougher sentences for gun offenders. He told a Senate committee in March that criminals tell him they don't fear the state's judicial system. "The gang members know that when it comes to judges, the courts and sentencing it’s a joke. And that should not exist," Chicago Mayor Rahm Emanuel said. The signing of the law comes days after the beginning of a special session calling lawmakers to Springfield. Chicago Police Supt. Eddie Johnson headed to Springfield Thursday to attend a hearing about a new gun bill he has repeatedly pleaded with lawmakers to pass. Mary Ann Ahern reports. The special session has seen little work being done so far and is costing taxpayers $40,000 a day.